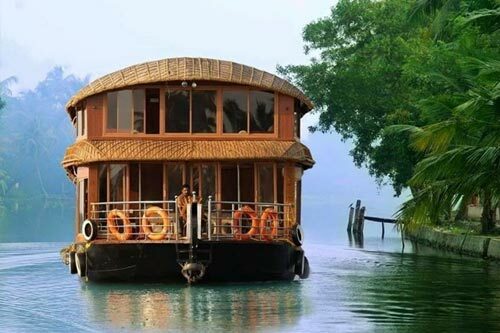 Palace on Wheels Package, Palace on Wheels India, Palace on Wheels Tour . 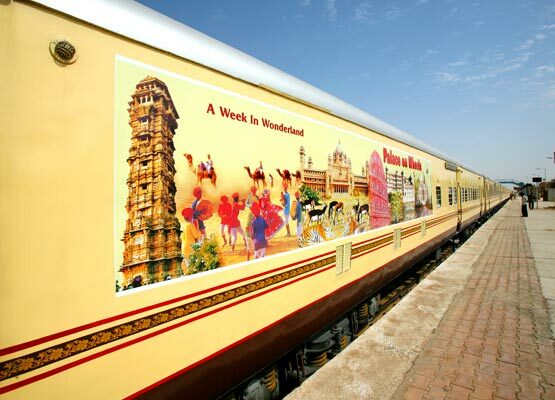 Palace on Wheels is a proud to present itself a s India’s first luxury train. 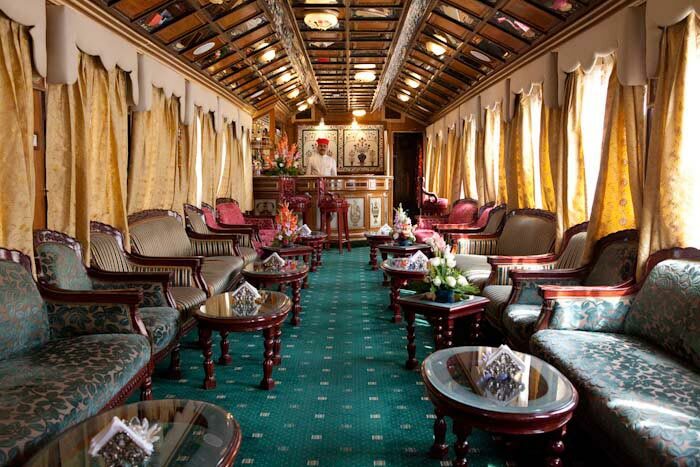 More than a luxury train, it is an experience of heritage onboard. 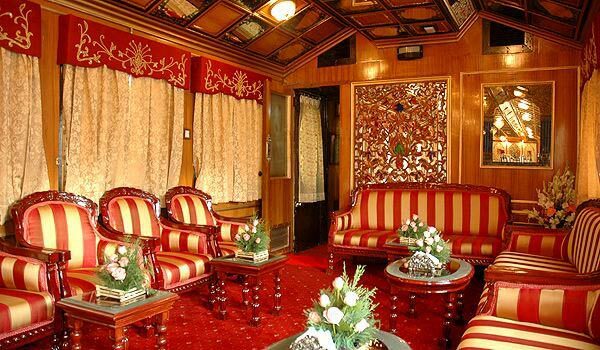 This oldest luxury train, the Palace on Wheels Train is inspired by the times when luxury was synonymous to living. The legends narrate many royal encounters about this royal palace on the move. The carriages were bejewelled with rich tapestry and traditional décor to accommodate the royal indulgence in the train. Originally used as favourite transportation of the Princely rulers of Rajputana, these elegant coaches are now a proud carrier of Palace on Wheels daunting legacy. The old world charm of Palace on Wheels has been fused creatively with the deluxe modern facilities that turn this luxury train tour into an overwhelming experience. The eight day extravaganza is sumptuously defined with luxury on wheels with indulgent sightseeing of Rajasthan’s royalty. 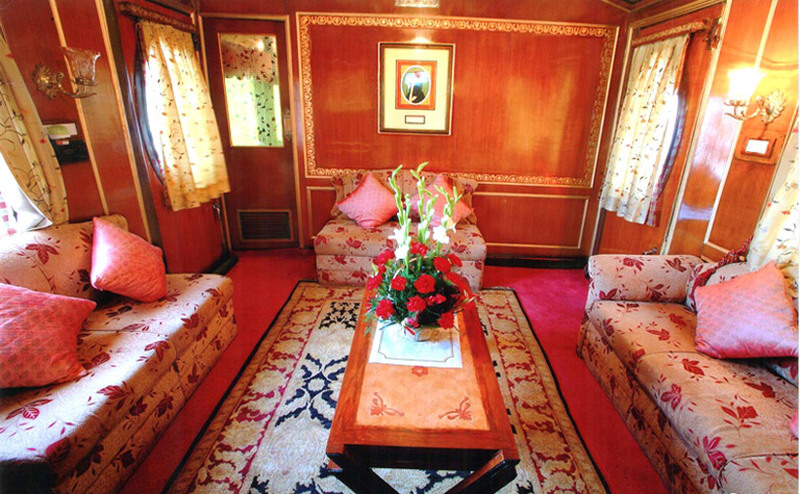 "Spend a week in the plush setting of the Palace on Wheels "
Over the thirty years of its glorious past, the Palace on Wheels has delivered the smiles of ultimate indulgence to many tourists and heritage enthusiasts. The train has now evolved as the renowned luxury train brand of India worldwide. 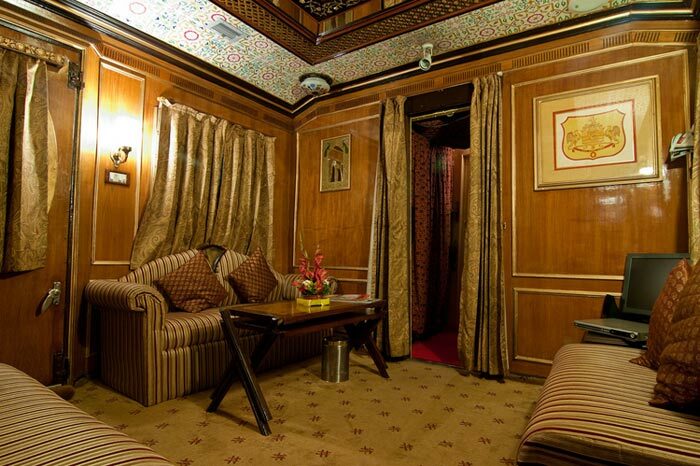 Identical with the Indian hospitality, the luxury train is a surround experience of royalty of the erstwhile kings. These excellent hospitality standards can be experienced in the Palace on Wheels with the service of royal turbaned attendants called Khidmatgars. With its impeccable standards and ultimate luxury, the Palace on Wheels has become the 'Pride of India' by bringing various accolades from the travellers and trade associations. 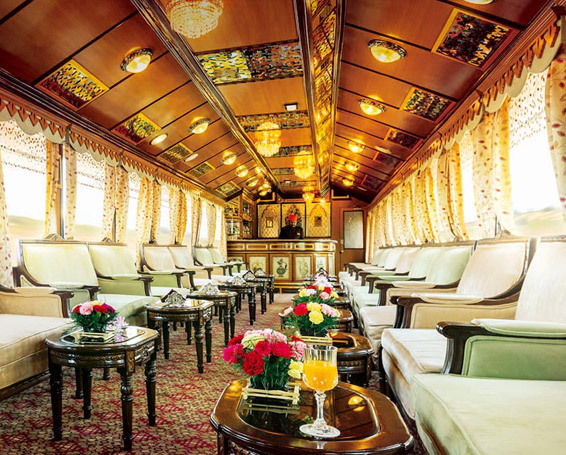 A PATA Gold Award Winner, the Palace on Wheels is now the leader of luxury train bastions in India. This train is ranked fourth best luxury train in the world. Your tour began at the Hawa Mahal Palace of Wind, followed the amazing Jantar Mantar-Astronomical Observatory are to be explored at leisure. The home of the erstwhile rulers. The city palace is now a museum of full royal splendour. Jaipur also offers a great shopping experience since the city is the country’s capital as far as handicrafts are concerned. This includes a very extensive range as well as a major International centre of cutting and polishing of gems and stone. Also, Jaipur is known all over the world for hand block printing on textiles. Lunch at Amber Fort. Soon after reaching at Amber, you can enjoy the festively decorated elephant for a ride up to the fort. After lunch, visit of Amber fort the best example of splendid fusion of Rajput and Mugal style of Architecture. The hall of victory, Jai Mandir has a stunning ceiling adorned with mirror work an inlaid panel. Return back to train by bus for freshening up. After rest awhile enjoy sumptuous dinner onboard. 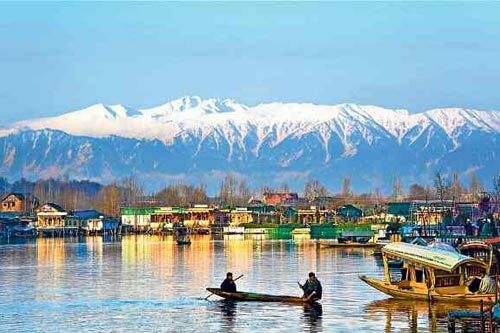 Three big lakes- Padam Talav, Malik Talav and Raj Bag- are alike turquoises studded in the vast tract. Though a delicate eco system, Ranthambhore is dynamic in the diversity and density of fauna it supports. Tiger at the apex of the food chain lords over the kingdom in a subtle way solitary by nature. It operates with stealth. Quite naturally tiger sighting are always a matter of chance, though evidences of its activities are equally exciting other then tigers you may have opportunity to see 24 different species of mammals, spotted deer, sambhar, wild boar, Indian Gazel, Jungal cat, Panthers, Jackal, Hynas Rarely sloth bears, also almost 300 different kind of birds. Highlights of wild morning of Day 3 will feature Jungle Safari in Ranthambhore National Park. Return back to Palace on Wheels. Breakfast and lunch onboard. In the year 1313 Alaudhin Khilji after knowing about the beauty of the queen attack on the fort. But the Rani performed Johar (Taking once own life by fire).The victory tower built by Maharana Kumbha in the memory of victory over the combined armies of Malwa and Gujrat in 15th Century. This tower is the symbolic identity of Chittorgarh. Sound and light programme at fort reveals the larger than life tales of love, tragedy and sacrifice. Highlights for second half of Day 3 includes Light & Sound show at Chittaurgarh fort. Dinner will be served to you onboard. Day 4. Saturday, Udaipur - Arrival 8.00 AM Departure 3.30 PM. This day will also allow you to relish Rajasthani Food in the company of traditional music at a 5 star hotel. Evening Tea will be served with the sunset. Dinner will be served to you at the Palace Hotel. Umaid Bhawan Palace world’s finest and largest palace in the world Maharaja Umaid Singh utilized the services of a well known Edwardian architect, Henry Vaughan Lanchester for the construction of this palace. There are 347 rooms in the palace that boast about its grandness and splendour the central dome that has become the identity of the palace 110 feet high. The royal family in still lives a part of the palace also having the old clock museum. Day 4 - Lunch at Palace Hotel. Boating on Lake Pichola. A visit to Crystal Palace, a glass museum featuring crystal antiques, furniture, royal chandeliers, crockery, etc. Day 5 - Camel Safari or Jeep Safari in Jaisalmer. Rajasthani Lunch at a 5 star hotel with traditional music. Evening Tea at sunset. Dinner at the Palace Hotel. In winters, campfire dinner with celebratory cultural performance can be experienced. Day 7 – Meet and observe the birds of Bharatpur’s Keoladeo Bird Sanctuary. Sum up the tour with the Taj Mahal. Depart with the unforgettable royal memories. 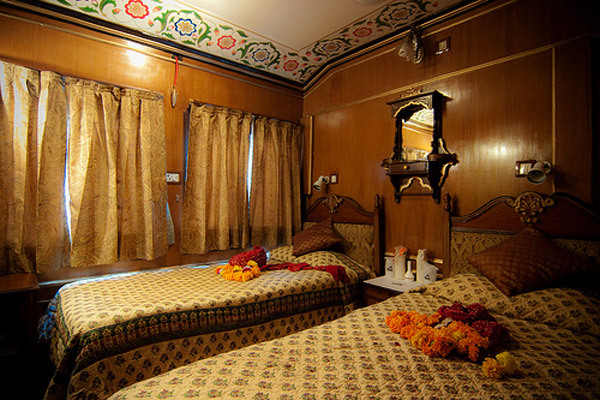 Accommodation - The Palace on Wheels Train is equipped with 14 fully air-conditioned saloons, each having a combination of 4 twin bed arrangement with wall to wall carpeting. The attached washroom cubicles in saloons have running hot-n-cold water supply with shower facility. All essential toiletries like soaps, shampoos, moisturizers etc. are available in bathroom. Channel Music is there for entertaining passengers. 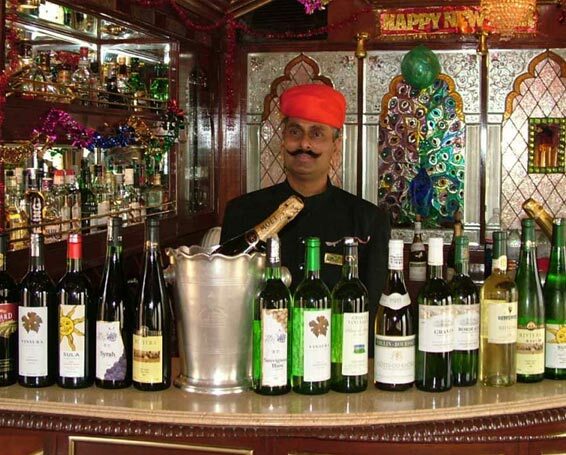 Bar - A well-stocked bar with branded wines, liquors and spirits of Indian and international make are there onboard to keep you in high-spirits. Restaurants – Two indulgent restaurants namely “The Maharaja” and “The Maharani” are there to serve the mouth-watering Continental, Chinese, India and Rajasthani delicacies. Attendant or Khidmatgar – A royal attendant is always available at your service, to take care of all your needs onboard. Indoor Games – You can enjoy playing indoor games like Chess, Chinese checkers, Playing Cards, Carom Board and Crossword Puzzles. etc. For disabled persons – Special attention is provided for such passengers in the form of wheel chairs, crèches and an attendant for assistance. 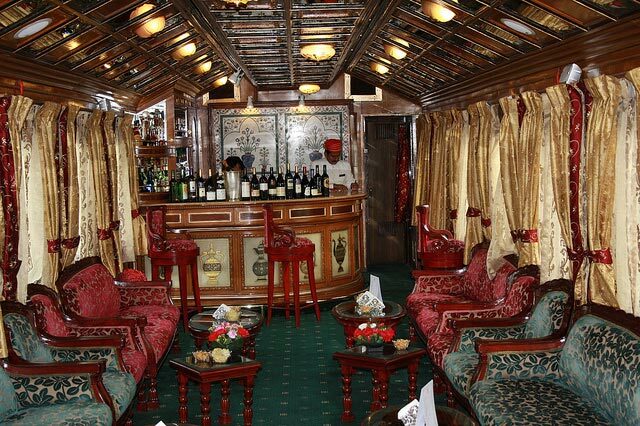 Lounge - At lounge of Palace on Wheels, you can relax, interact with co-passengers, make friends and play games. Mail box - Mailbox is provided onboard for posting your mail. Meals - Sumptuous arrangement of meals onboard and off-board features the cuisines catering to the international taste buds. Continental, Indian and Rajasthani cuisines are available during your 7 day journey of Palace on Wheels. Royal Spa - The well-equipped spa offers various massages, therapies and revitalising solutions amidst royal ambience onboard. Drinking Water – Purified water is available for you all through the journey. Shopping - Certain handicrafts and other special items of Rajasthani origin can be bought from Govt. Recognised shops selling handicrafts. Internet - Internet facility available onboard with Laptop. Events onboard – Special events like Royal Wedding, Conferences & Business meeting can be organized onboard easily. Cultural Shows - Light & Sound program at Chittorgarh , Culture programs and dances at Jaisalmer. Medical Aid - Your health obviously tops the chart of our priority list. First aid is available on the train whereas a doctor can be arranged on call. At the every station. Doctor is available for 1 hrs. For free consultancy in Bar/ Lounge car. Professional services by the smiling staff having experience of 30 years onboard. 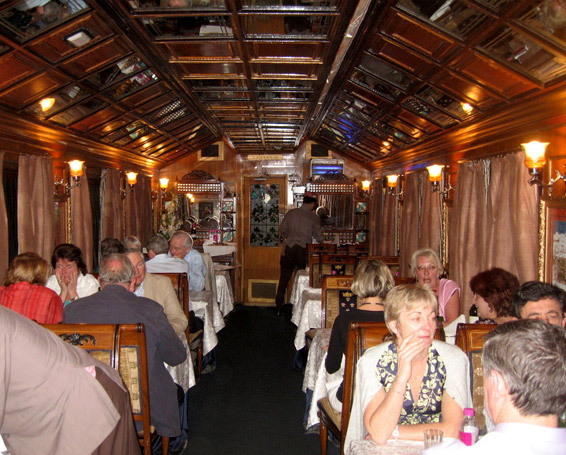 The Palace on Wheels is one of the world's most exciting heritage rail journeys, for a juxtaposition of modern amenities with heritage and the train proceeds every single day to a new destination and its unique exploration. With everything taken care of dining accommodation with dedicated Khidmatgars, along side sightseeing of Indian historical gems as well as organized shopping, there is nothing for the traveller to do but sleep in the history and luxury of the land, soak in the splendid colours and experience the royal life of Maharaja. The tour starts from Delhi and comes back to the city after going through in order: Jaipur-Sawai Madhopur-Chittaurgarh-Udaipur-Jaisalmer-Jodhpur-Bharatpur-Agra-Delhi. Welcome aboard. Head towards the best city in the World - "Udaipur" (Travel+Leisure) and TAJ Mahal - a wonder of the world. The Palace on Wheels Train begins its journey from Delhi and enters Jaipur, the pink city famous for its planning and three forts towering the skyline. 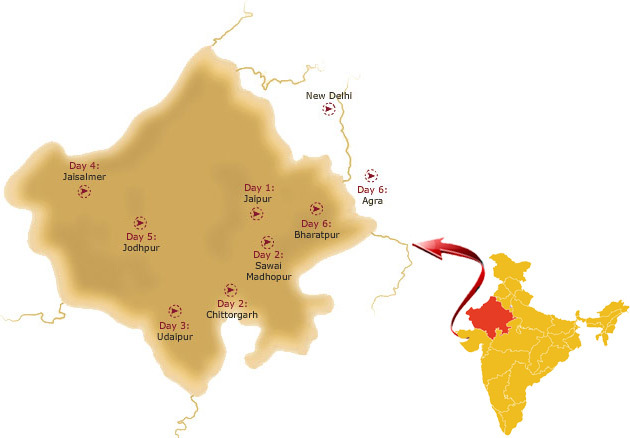 The royal journey then moves towards Sawai Madhopur, the kingdom of Rajputs and Tigers. 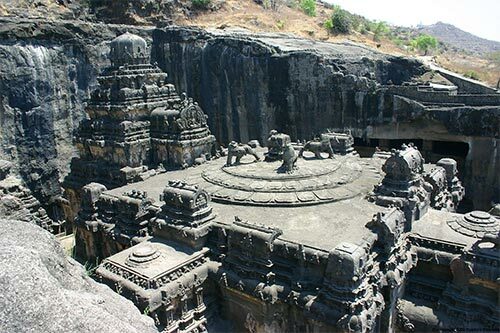 Visit Ranthambore National Park and the fort in the morning. Explore the latter half of the day in the land of sagas, Chittorgarh, known more in the stories and encounters of love, valour and sacrifices. 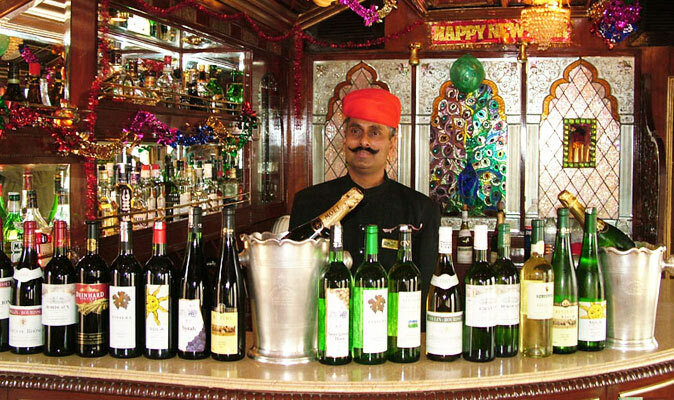 The next halt on The Palace on Wheels is in Udaipur, the ultimate sojourn of the royals. Towards the middle, the journey moves towards Jaisalmer, the city with the core of desert and legends. At Jodhpur, the royal entourage gets some time to explore the Mehrangarh Fort, cenotaphs at Jaswant Thada and indulge in some shopping. Begin the last day of the Palace on Wheels Train with an early morning sightseeing of bird haven of Bharatpur and later enter the city of Mughals, where Taj Mahal stands in glory of love.